Henry Lewis is a San Francisco-based painter/tattooer/graphic designer. In his studio is where Henry sits and paints and smokes cigarette after cigarette, ostensibly for hours and hours every single night, after he leaves Everlasting Tattoo. Henry's been working almost exclusively in oils over the past year, and has become incredibly adept with the medium. 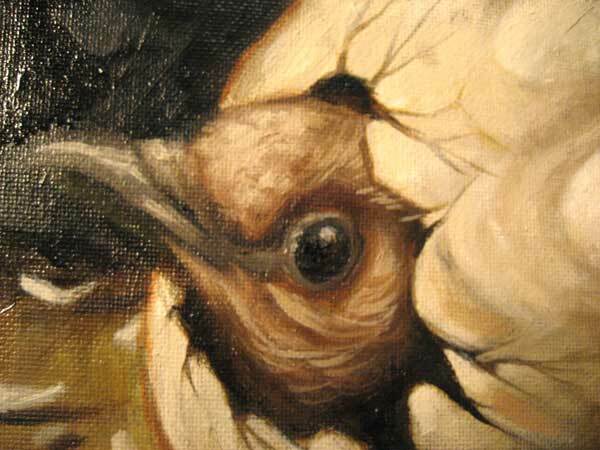 Theres something about oil paint that you cant get with any other paint; it has to do with luminosity. The layers all build on each other and when handled with some skill, the canvas fairly glows. Its also a very subtle medium and difficult to master.